← Can Fleas Survive Winter? Learning how to start a pet sitting business, it’s not as hard as you may think! Starting a pet sitting business could put you on the financial road to success. Many people have found independent success with home business’s, why not you? Let’s take a look at some important things you should consider when learning how to start a pet sitting business. 1. 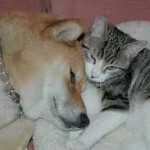 How many customers do you think would be interested in using a pet sitting business? 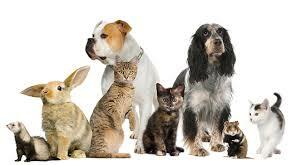 * How much do you charge for animal day-care, or how much do you charge per day for animal boarding? 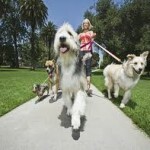 * What is included in the prices, are the pets walked and played with? 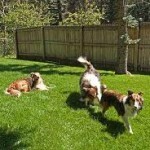 What type of outdoor areas are available for the pet(s)? * How many pets are boarded or kept in day-care at any one given time? * What types of references do they offer possible customers? 2. How would you like to operate your business? * You could choose to work away from home. Many people don’t want to board their pets at a kennel and would prefer to pay someone to come into their home. Some would want you to stay on the premises with their pets. Some people would like you to come into their homes at a particular time of day either one or a few times, having you put their pets outside, feed them and play with them. * Some customers may want you to do this daily, especially if they’re not capable of walking and playing with their pets, while others may only need you when they’re out of town. Learn more about starting a profitable pet sitting business and get started! * If you choose to work from your home, you may want to consider a specific area where peoples pets would be while in your care. 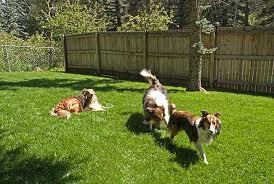 Do you have a fenced in area for the pets to wander and play safely? If not, that’s not a problem, just have a route that you would take to make sure that their pets, if needed, could get adequate exercise while in your care. 3. Would you be doing your pet sitting business alone, or with a partner? * If you decide to run the pet sitting business alone, make sure that you don’t over-extend yourself. 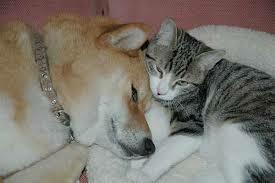 You need to make sure that you will have time to give all of your customers and their pets adequate time. They’re going to want to make sure that their pets are getting the time and attention that they’re paying for. * If you decide to have a partner, make sure it’s someone that you can count on to be there when needed. Be very careful when picking a partner, you don’t want to be stuck with to many pets on your hands because your partner is late or calls in. When starting your own business you need to be able to count on your partner 100%! All of these questions can be used for your benefit when researching a pet day-care or pet sitting business. When learning how to start a pet sitting business you will need to have a good knowledge base of what your competition may offer and how you can compete with them. Maybe you could offer a better price, either per day or a discount on longer stays like a week discount rate. You may also come up with some ideas to make the pets stay more comfortable for them, just by asking some simple questions to already distinguished pet sitting businesses. Starting a pet sitting business doesn’t mean that you have to find a building to rent and hire employees, yes, maybe in the future, get your hands dirty first and start slow. Many businesses fail because people jump all in without fully understanding what the new business will entail. If you start out slow with a few customers and get the feel of the business and what it will take to make it work on a larger scale, you are much more likely to have success. If you have a home with a yard, then you have the ability to learn how to start a pet sitting business and get it started! Get yourself situated with a couple of clients and build from that. Many people who will use a pet sitting business will also give you great references. When learning how to start a pet sitting business references are key! You could decide to advertise your new business in the local papers or by hanging flyers in local pet shops and veterinarian offices, but the best advertising you can have are from people who have used your services and were very satisfied. Word of mouth is the absolute best advertising that you can have. Make sure that you ask permission from customers to use them as a reference for other possible clients. Having a great reference can go a long way with building your business. If you think that you are ready to have your own business whether to add some weekly income, or to make a full-time job out of it and if you love animals, this would be a wonderful opportunity for you! 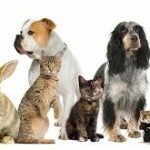 You can find more information about, how to start a pet sitting business with the following links. Doggie Day Care Petting Sitting E-books.